Reading this article today, I am dumbfounded that Anbang managed to get this far in the proposed purchase of B.C. commercial real-estate without red flags going up. This mysterious Chinese company, Anbang Insurance Group has attracted the attention of The New York Times, The Wall Street Journal, Forbes, Fortune Magazine, and government authorities in the United States and other countries. A months-long investigation by the New York Times revealed an extremely opaque structure, empty offices, obscure shareholders, and extensive political connections to the Chinese elite. Anbang has all the earmarks of Chinese money laundering, corruption at the highest levels, and mysterious shell companies. It is a cautionary tale for Canadian authorities fretting over foreign real-estate buyers and skyrocketing real-estate prices. 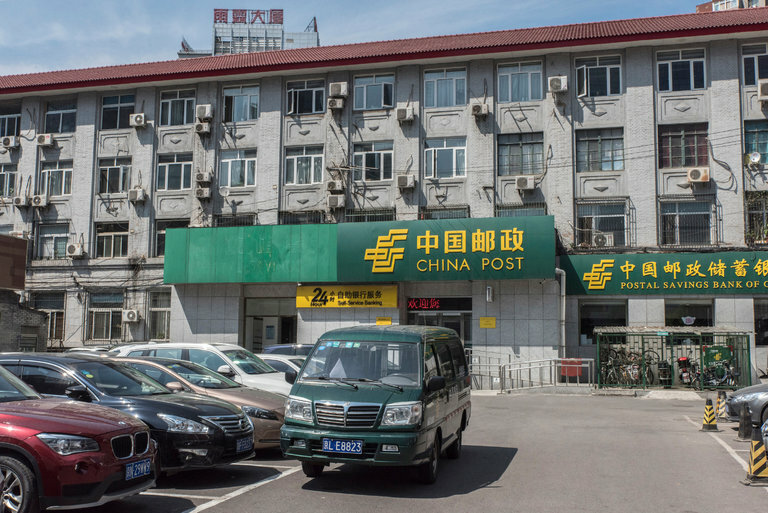 The dingy fourth floor of this building in Beijing houses two companies that control assets of Anbang Insurance Group worth more than $15 billion. The Anbang Insurance takeover is currently under scrutiny by the federal government’s Investment Review Division because it exceeds the $600-million threshold and it will ultimately be up to Innovation Minister to make a decision. A massive Chinese insurance company with a murky ownership structure is buying a majority stake in one of British Columbia’s biggest retirement home chains, a deal believed to exceed $1-billion that would give Beijing-based Anbang Insurance an important role in the delivery of health care in B.C. Anbang Insurance Group, which has emerged in recent years to launch a global buying spree, has cut a deal to buy Vancouver-based Retirement Concepts, a family-owned retirement home business established in 1988. This foreign takeover is currently under scrutiny by the federal government’s Investment Review Division because it exceeds the $600-million threshold and it will ultimately be up to Innovation Minister Navdeep Bains to make a decision. Retirement Concepts owns and operates about 24 retirement “communities,” mostly in B.C., except for several properties in Calgary and Montreal. What makes it even more attractive is that it also owns holdings of unused or partly developed land that would allow a major expansion of facilities in the future. The company is an important part of B.C.’s health-care delivery system. Retirement Concepts is the highest-billing provider of assisted living and residential care services in the province. The B.C. government paid the company $86.5-million in the 2015-16 fiscal year, more than any other of the 130 similar providers. A source familiar with the deal said it exceeds $1-billion, but Retirement Concepts declined to confirm the size of the transaction. “The terms of the proposed transaction have not been disclosed publicly and we cannot comment on the amount you refer to,” said Azim Jamal, president and chief executive of Retirement Concepts. Foreign investments are reviewed to determine whether they provide a net benefit to Canada and are compatible with this country’s industrial, economic and cultural policies and what impact they will have on Canadian participation in the business. The Canadian government is eager to attract foreign money to make up for insufficient investment capital within Canada and acquisitions by foreigners are rarely rejected. Prime Minister Justin Trudeau is particularly eager to attract more investment from China and has begun exploratory free-trade talks with Beijing. The Liberals have already signalled they are open to rolling back a ban on state-owned Chinese investment in the oil sands imposed by former prime minister Stephen Harper. Anbang appears to have gone to some lengths to conduct this B.C. deal below the radar. The name of the firm acquiring Retirement Concepts is Cedar Tree Investment Canada, which was incorporated as a federal Canadian company only in July. Cedar Tree’s registration initially gave the names of its two directors as Hong Zhao and Ye Zhang with their contact address as Suite 2560 at 200 Granville St. in downtown Vancouver. People with the same names and address are also the two listed directors for Maple Red Financial Management Canada Inc., the company that Anbang used to buy a controlling interest in all four towers of Vancouver’s Bentall Centre last year. The directors have since changed, as has their address, and Cedar Tree’s contact information is now a major Canadian law firm’s downtown Vancouver office. Telephone calls and e-mails to Cedar Tree Investment’s listed directors were not returned. The Globe and Mail was also unable to reach anyone at Anbang International, Anbang Insurance’s global investment arm, at its Vancouver number. In April, after abruptly walking away from an effort to buy Starwood Hotels & Resorts, one the world’s largest hotel companies, Anbang appears to have been shifting its attention to the Canadian market with a bid for Innvest, one of this country’s biggest hotel owners. This came amid reports from China that Chinese regulators were looking into whether its foreign asset acquisition binge – including the Waldorf Astoria hotel in New York – exceeded allowable limits. Bloomberg News, citing a source involved in the transaction, reported that the CEO of the firm that would go on to buy Innvest, Bluesky Hotels & Resorts’ Li Chen, had said at the outset of the acquisition talks that she was representing Anbang but did not wish this company to be publicly identified as the buyer. Anbang later publicly denied “any connection” between it and Bluesky. An investigation by The New York Times earlier this year revealed that 92 per cent of Anbang is currently held by firms either fully or partly owned by relatives of Anbang’s chairman, Wu Xiaohui, or his wife, the granddaughter of the former Chinese leader Deng Xiaoping, or Chen Xiaolu, the son of a famous People’s Liberation Army leader. The B.C. retirement home acquisition thrusts Anbang into a new area of business: Canada’s health-care system. Under international trade deals that Canada has signed, the provinces retain the right to refuse to give health-care contracts to foreign companies. That’s because Canada reserved the right in trade agreements for governments to discriminate against foreign suppliers of services in the health-care sector and foreign investors when it comes to health care. Mr. Jamal said Retirement Concept’s existing corporate team will remain intact to “provide continuity” to residents and the business. “Under the partnership agreement, Retirement Concepts will retain a minority share and will continue to manage the day-to-day operations of all of our seniors’ communities,” the CEO said. British Columbia’s Liberal government, however, says it is not concerned about the Retirement Concepts deal because it does not believe the patients at the company’s facilities will see a difference in the care they receive. “Cedar Tree has assured patients, families and staff that it does not intend to make any changes to day to day operations, patient care, staff or leadership. In fact, they will all remain in operation as they are today,” B.C. Minister of Health Terry Lake said in a statement. The B.C. government said nothing also prevents a foreign-owned company from owning a health-care provider. “The Community Care and Assisted Living Act does not prohibit facilities from being sold to an out-of-province, or to an off-shore purchaser,” spokeswoman Kristy Anderson of B.C.’s Health Ministry said. The Investment Review Division at the federal department of Innovation confirmed it’s reviewing the acquisition before Mr. Bains makes a decision. “Cedar Tree Investment Canada has filed an application for review under the Investment Canada Act of its proposed acquisition of Retirement Concepts,” spokeswoman Stéfanie Power said in a statement. The department likely received the application in late September or early October but it will not confirm the date the review began. “In general terms, the Minister has 45 days from the date the application is received to make a decision. However, the Minister can extend this period by 30 days. Further extensions are possible with the investor’s consent,” Ms. Power said. China itself faces a daunting retirement-care challenge with a rapidly graying population and it is seeking the expertise and capacity to design the vast system necessary to look after its elderly.